Today: 65 articles and 142 comments as of 22:55. Should Europe Classify Hezbollah As a Terrorist Group? [An Nahar] Mali's new Prime Minister Diango Cissoko called Thursday for military intervention by an African force to help take back the Islamist-controlled north "as quickly as possible". "Please don't let them kill me!" , the current head of the West African bloc ECOWAS which is preparing the intervention force. This operation "will take place as soon as conditions are met and we are doing all so those conditions are met as quickly as possible," he said. The U.N. Security Council on December 20 approved the deployment of an international force in Mali, but in stages and without a precise timetable. It also insisted on the need for dialogue with the gangs in the north which reject terrorism and the partition of the country. Armed Islamist groups, some with al-Qaeda links, seized northern Mali in the wake of a March coup in Bamako, and have imposed a brutal form of Islamic sharia law. An interim government has taken over in Bamako and Cissoko said "credible" elections would be held when conditions allow. recently pressed Mali's government to hold free elections as soon as possible as part of preparations for the intervention force. #1 Save me infidels, it's my only hope. [Magharebia] Political leaders from across Africa and the Arab world gathered in Nouakchott at the week-end for the second congress of Islamist party Tawassoul. "The presence of symbols of Islamist movements who came to attend this conference had great significance for Islamists in Mauritania, highlighting their ability to mobilise and garner support", Tawassoul member Mohamed Ould Slama said. It was also an opportunity to promote the party's moderate Islamist approach, he told Magharebia at the event's conclusion on Saturday (December 22nd). The gathering provided an occasion for Islamist movement leaders to share insights on a variety of topics. The head of Tunisia's ruling Ennahda party, Rachid Ghannouchi spoke at a session titled, "A Nation Between Two Stages". "The winds of change will include all Arab countries, and Arab rulers have to respond to their peoples to spare them revolutions," Ghannouchi said. "The rulers must know that we're in the time of freedom and democracy, and if change doesn't come from within the regimes themselves, they will be swept away by floods, like other stronger and fiercer regimes in some Arab countries," he added. With Tunisia still suffering from the repercussions of the revolution, Ghannouchi did not present his country in a rosy way. we're proceeding with national reconciliation to get past this stage." we're required to exert more efforts to realise peoples' dreams." Discussions also covered the experiences of Islamist movements in running governments and the challenges they face. General Supervisor of the Moslem Brüderbund in Libya, Bashir Kabti said, "Moderate Islamists in Libya played a major role in the revolution that toppled Qadaffy's regime." "Today, they represent the second largest political force in terms of representation in the General National Congress," he added. "They have chosen to take part in government rather than compete against other forces," Kabti said. #1 Enjoy it now, people - we're looking at an image of one the greatest concentrations of USN sea/firepower e-v-a-r!, before "sequestration" cuts andor SHTF between China + Japan in East Asia. #2 Yikes. Nice grouping, if you catch my drift. #3 It's all part of the New Deal Shipman. #4 Make a helluva reef when Obozo scuttles them to save money for his health care. #6 When I watch turkeys cross the road I am at least comforted by the fact that turkeys should not know better. And the sad fact about saving money for health care has nothing to do with equipment, once we allow government to start counting beans like people. #7 Well at least we know where the Navy plans to make their "fiscal cliff" funding cuts. #8 Reminds me of the old saying not to put all your eggs in one basket. A small nuke would achieve military naval parity. The head of Pakistain's Taliban said his militia is willing to negotiate with the government but not disarm, a message delivered in a video given to Rooters on Friday. "We believe in dialogue but it should not be frivolous," Hakimullah Mehsud said. "Asking us to lay down arms is a joke." In the video, Mehsud sits cradling a rifle next to his deputy, Wali ur-Rehman. Military officials say there has been a split between the two men but Mehsud said that was propaganda. I think the only solution here is to send Mrs. Feinstein solo in person to politely explain what is what. Pakistan and Iran might continue to use terrorist groups to mount attacks on other countries out of a strong sense of insecurity in the next 18 years, says a new report by the US intelligence community. Every half-decade, the National Intelligence Council's "Global Trends" series produces analysis considered to be the best long-range geopolitical forecasting conducted by the US government. The 140-page "Global Trends 2030: Alternative Worlds" report has a chapter titled "Future of Terrorism" which calls Pakistan what it is -- a state supporter of terrorism. "States such as Pakistan and Iran feel threatened by what they perceive as stronger, threatening powers in their regions or globally. Therefore, they seek asymmetric options to assert power and deter attack; using terrorist groups as proxies and pursuing nuclear weapons are two such asymmetric tools," says the report. US intelligence experts are now echoing what India has always maintained. Pakistan trains Islamic terrorists to launch attacks on India as part of its claim on Kashmir. Anti-India jihadist groups were deliberately created and nurtured as a policy to achieve short-term Pakistani tactical objectives. These Islamic terrorist groups were not thrown up because of Pakistani government weakness, but as a matter of policy. #1 Totalitarian regimes generally like to have an external enemy/threat or two, just to keep domestic attention focused on something other than their miserable lot of the common man. Also enables the regime to maintain a substantial military (or a multitude of Federal, military-like, police agencies) which are a key control element of any totalitarian regime. #2 You mean the territory which actively harbored bin dover? I am shocked, shocked to find terrorism going on in this establishment. #3 I'm sure that the investigations, data analysis and documents compilation for this report only cost us taxpayers $7.98 or thereabouts. We probably could have come to the same basic conclusion for a lot less by reading the derivative data and using some common sense, but therein lies the rub. #4 In other news, the Santa Claus was shot and killed from stray gunfire over the skies of Chicago on Christmas Eve. #5 whoops, wrong thread for previous comment. Santa could have easily been killed over Pakiland and nobody would bat an eye in DC. It's common sense that Pakistan supports terrorism. It's just acting "innocent" to avoid getting nuked by everyone with a ICBM. #6 And in other shocking conclusions in the same report, water is wet, and on sunny days, the sky is blue. to hand over Moulvi Fazlullah and Pirul Haq to us," the minister said. "No foreign hand is behind the terrorist activities taking place within the country, but our Pak brothers are involved therein," he remarked. [Pak Daily Times] The Pak Taliban have outlined conditions for a ceasefire, including the adoption of Islamic law and a break with the United States, a front man said Thursday, an offer dismissed out of hand by the interior minister. troops to potential peace talks, and amid speculation of a rift between top Pakistain Taliban leaders. Military officials told Rooters last month that Pakistain Taliban leader Hakimullah Mehsud had lost operational command to his deputy, Waliur Rehman, considered to be more open to reconciliation with the Pak government. The Taliban deny Mehsud has lost command. The Pak Taliban are a separate entity allied to the Afghan Taliban. Known as the Tehrik-e-Taliban Pakistain (TTP), they have launched devastating attacks against the Pak military and civilians. rejected any offer of a ceasefire unless it came from the Pakistain Taliban leader. "I reject all these offers, and any future claims, of Ihsanullah Ihsan, unless and until Hakeemullah Mehsud owns them himself," Malik said. A second government official, who asked not to be identified, dismissed the proposal as "preposterous". "They are a bunch of criminals. 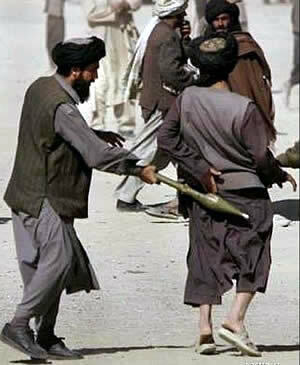 This is not the Afghan Taliban. 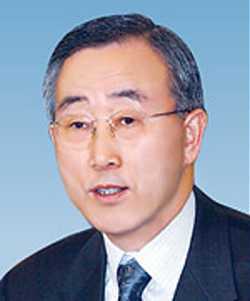 They are not open to talks," The official said. "No one can take such an offer or terms seriously. The TTP is not a proper entity, certainly not one any government can negotiate with." In his comments, Ihsan said the Pak Taliban were ready to abide by a ceasefire "as long as they meet our demands, that an Islamic system should be put into place, they should fix their foreign policy and stop agreeing to America's demands". The gunnies accused Pakistain's army of acting as "mercenaries" for America and pledged to continue attacks on two major political parties they say serve US interests. "The big mistake (the government) made is that they fought America's war in Afghanistan and brought it into Pakistain," Ihsan said. NATO troops are due to hand over control of most operations in Afghanistan to Afghan forces next year and officials have been eager to start peace talks with the Taliban there. But the Taliban insurgency in both Pakistain and Afghanistan is fragmented and commanders often disagree over strategy. Ihsan said that even if there was a peace agreement signed with the government, the Taliban would not disarm. "We do not accept Pakistain's present secular and pro-West system and its constitution," he said. "We also oppose Pakistain's pro-West foreign policy and if the government wants us to announce a ceasefire, it will have to accept all our demands." #1 Rachel's Tomb eh? That wouldn't be St. Pancake Rachel Corrie would it? #2 He throws like a girl. #3 Don't insult girls by comparing us to this yutz, Knuckles. Bet if I wanted to throw a pipe bomb at him, I'd hit him. [An Nahar] A delegation of pro-Paleostinian activists, mainly French and Egyptian, crossed into Gazoo from Egypt on Thursday to deliver aid, AFP correspondents at the border reported. How many Iranian missiles did they bring with them? The "Welcome to Paleostine" delegation of about 90 people is to stay in the territory until January 1, in solidarity with the people of Gazoo and in protest against the Israeli blockade in force since 2006, organizers say. Organized by French group EuroPaleostine, the delegation includes 60 French members and 25 Egyptians, and entered Gazoo through the Rafah border terminal, the only land crossing between the territory and the outside world not dependent on Israel, which also maintains an air and sea blockade. 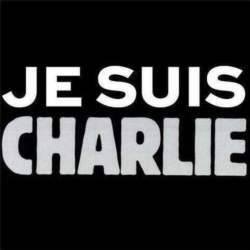 The visitors brought drugs, surgical supplies and French textbooks, the organizers said. In the past, several similar "Welcome to Paleostine" initiatives failed when activists were refused entry by air to Tel Aviv and by land from Jordan into the Israeli-occupied West Bank. The Israeli blockade on Gazoo was first imposed in June 2006 following the capture by Orcs and similar vermin from the territory of an Israeli soldier, who was eventually freed in October 2011 in a trade for 1,000 Paleostinian prisoners held by Israel. It was strengthened in 2007, when the Islamist Hamas, always the voice of sweet reason, movement took control of Gazoo, then eased somewhat following an international outcry over the killing of nine activists in a 2010 Israeli commando raid on a flotilla trying to break the naval blockade. In 2011, a U.N. report found the commandos used excessive force but ruled that the blockade itself was legal. Israel says that its restrictions do not affect the civilian population of Gazoo and that it allows 50,000 tons of goods to enter each week. #1 allows 50,000 tons of goods to enter each week. Just what do they trade for those goods? Rockets, bombs, and rocks, it would seem. Who is paying for them? Unless it's KSA, it's nobody who can afford it. Thai border patrol police and army soldiers will be assigned to teach in state-run schools in Thailand's southernmost provinces, according to the Thai defense minister. Air Chief Marshal Sukumpol Suwanatat, who stayed overnight in Narathiwat province on Tuesday during his two-day inspection trip to the far South, said instruction by police and military personnel will be a temporary measure due to a shortage of Thai Buddhist teachers. 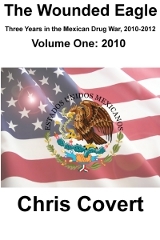 He said the assignment of teaching jobs to soldiers, rangers and border patrol police was agreed to by the Federation of Teachers in Three Southern Border Provinces. A series of attacks against Thai Buddhist teachers in the area has devastated the morale of educators, many of whom have sought permission from the Education Ministry to transfer from the region. [An Nahar] The Syrian vice president's criticism of leader Bashir al-Assad has highlighted the cracks in the regime's highest ranks, pitting supporters of compromise against the president's hardline inner circle. Assad's closest aides believe the regime should keep fighting and that they can still win a war against rebels which has left more than 44,000 dead in almost two years. "Power has become increasingly concentrated in the hands of just a few people in Assad's clan, which has grown autistic and seems to have chosen to just keep going," Gay Paree-based expert Karim Bitar told AFP. 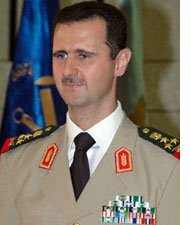 Assad's circle includes his brother Maher, 44, who heads the army's elite Fourth Division and his wife Asma, an analyst told AFP on condition of anonymity because of the sensitivity of the subject. security chief, Hazem Makhluf, 41. Like Assad, all are members of the minority Alawite community, except his wife, who is a Sunni Moslem. Presidential affairs minister since 2009, Mansur Azzam, 52, and former al-Jazeera journalist Luna al-Shibl are also close to Assad. Both are members of the Druze community. Alawite Hussam Sukkar, a security advisor to the president, is also key, as are two Sunni veterans: National Security director Ali Mamluk and Political Security chief Rostom Ghazali. "This is the group that takes the decisions," the analyst said. 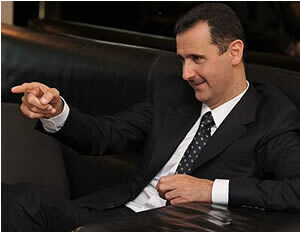 "Bashar, who runs the show, only listens to people who owe him, for the most part, for their rise." But several high-level officials, members of the state apparatus and part of the army command, understand -- like Vice President Faruq al-Sharaa -- "that neither the rebels nor the army can secure an all-out victory," said Bitar. "As such, they are hoping for a negotiated solution, which would prevent them all being swept away should Assad fall,." In an interview published in a pro-Damascus Lebanese daily, Sharaa, who for 22 years served as foreign minister, said he favors a negotiated solution to the conflict, rather than the president's strategy of crushing the revolt militarily. Assad "does not hide his desire to press on militarily until the final victory (and he believes that) after this, political dialogue will actually still be possible," Sharaa told Beirut-based al-Akhbar. Experts say that out of those who share Sharaa's views, two women stand out. One of them is Buthaina Shaaban, a 59-year-old Alawite who was close to Assad's father Hafez, and worked as his translator before becoming minister of expatriate affairs. In 2008, Shaaban became Bashir al-Assad's advisor. The other is Najah al-Attar, a 79-year-old Sunni, who was minister of culture from 1976 to 2000, and was then appointed vice president along with Sharaa in 2006. "It seems this group has been totally excluded from decision-making, because they think the war should end with no winner or loser," said a former minister who took a distance from the regime when the revolt broke out in March 2011. Assad's clique, the minister added on condition of anonymity, "treats them like cowards." The journalist who interviewed the vice president for al-Akhbar said "Sharaa is not in the decision-making circle, and communicates infrequently with the president." On Sunday, Information Minister Omran al-Zohbi played down Sharaa's assessment. "It is one opinion among 23 million opinions in Syria, which is a state led by institutions and leaders who will give the final opinion," he said. After 50 years in power, differences have emerged even among Alawites, as young members of this offshoot of Shiite Islam are killed daily in battle. The minister had proposed price hikes for a number of medicines due to the plunge of the Iranian rial against the U.S. dollar and Western sanctions imposed on the country over its disputed nuclear program. in August asking him to make a case to the West for easing sanctions that are detrimental to patients. and the U.N. Security Council to pressure it to curb its nuclear program. Western powers suspect Iran is using the program to develop atomic weapons capability. 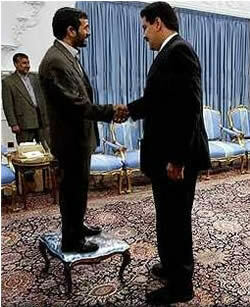 The Islamic republic denies that and says its nuclear activities are purely peaceful. 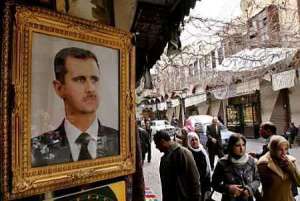 should not have any role in Syria's political transition as he had too much blood on his hands. "Bashir al-Assad, who is still ferociously repressing his people and bears responsibility for the 45,000 victims of this conflict cannot be part of the political transition," foreign ministry deputy front man Vincent Floreani said. The statement came after international envoy Lakhdar Brahimi called for "real change" and the installation of a transitional government with full powers until elections can be held. "The transition period should not lead to the collapse of the state and its institutions," Brahimi said, making no mention on the fate of Assad, whose current term expires in 2014. [An Nahar] International peace envoy Lakhdar Brahimi on Thursday called for "real" change in war-torn Syria and the installation of a transition government with full powers until elections can be held. , during his latest bid to persuade Syria's warring parties to negotiate an end to the 21-month conflict estimated to have killed at least 45,000 people. The Algerian diplomat had arrived in Syria on Sunday for his first visit to the country since October. A diplomat at the U.N. Security Council said, however, that the veteran troubleshooter had received no support from either side during his talks in Syria. "We will accept any political solution that does not include the Assad family nor those who harmed the Syrian people," Coalition front man Walid al-Bunni told a presser in Istanbul. "Our first condition for them is to leave the country," Bunni said in remarks translated from Arabic, referring to the Assad family and the regime's inner circle. envoy Lakhdar Brahimi fail to end the 21-month conflict estimated to have claimed more than 45,000 lives. by calling for "real change" and the quick introduction of a transition government "with all powers". #1 "Bloody chaos" ya say? How would that be different from now, exactly?